Aeroflot’s low-cost subsidiary Pobeda will lease five Boeing 737-800 aircraft from Chinese lessor BOC Aviation, Reuters reports, citing a source close to Aeroflot’s board. The carrier’s fleet will thus reach 17 aircraft. 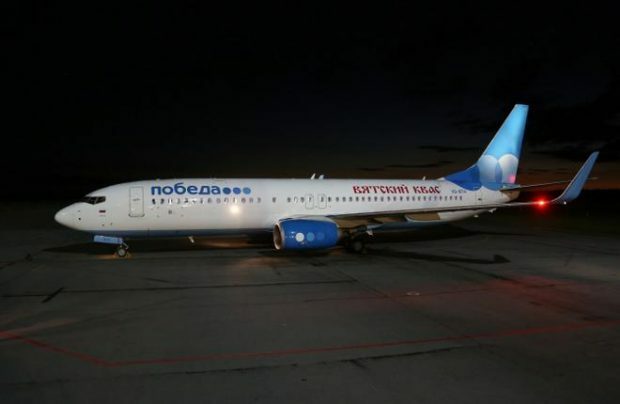 In an earlier interview to RBC newswire, Aeroflot’s general director Vitaliy Saveliev said that Pobeda will eventually grow its fleet to 40 aircraft. However, the parent company is not in the rush to expand its subsidiary’s capacity. “Their aircraft fly 15 hours daily, whereas in Aeroflot the average daily flight time is 12 hours. So if we add another ten aircraft to Pobeda, it will take over the traffic from another subsidiary,” Saveliev explained. According to Federal Air Transport Agency, in 2015 Pobeda carried 3.1 million passengers and ranked seventh among Russian airlines by traffic.